Aphria Inc. shares fell 21 per cent on Dec. 4 to $5.99 in Toronto. They started the week above $10. Aphria Inc. was on the defensive for the second day in a row after short-sellers took aim at one of its recent deals and sparked a sell-off that has sent its shares tumbling by more than 40 per cent this week. On Tuesday morning, the Leamington, Ont.-based company once again stood behind its $300-million deal to acquire a company that owns cannabis assets in Jamaica, Colombia and Argentina. Aphria elaborated on a statement Monday that called short-sellers' allegations “false and defamatory,” by noting that it has 100 employees in the three countries. 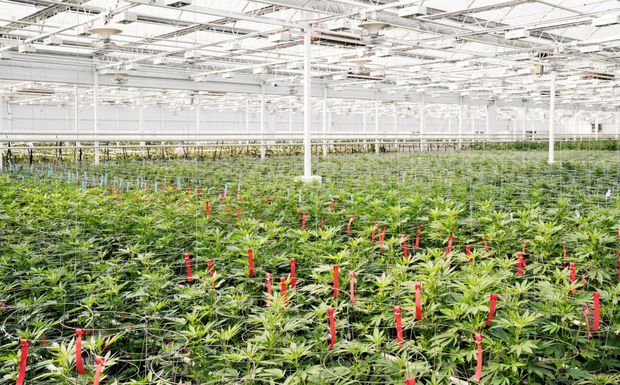 It also refuted some of the short-sellers’ claims, including the contention that Aphria hasn’t grown any cannabis at its outdoor farm in Kingston, Jamaica. The company said on Tuesday it has harvested 2,500 kilograms to date. Aphria added that executives, including chief executive Vic Neufeld, personally bought more than $3.1-million in company stock on Monday even as shares plummeted. “Yesterday, I, along with other members of our executive management team, stepped up to demonstrate our confidence in the company’s business plan, growth strategy, integrity and value of the assets,” Mr. Neufeld said in the release. Aphria’s most recent defence did little to halt the fast decline of its stock. Shares fell 21 per cent Tuesday to $5.99 in Toronto. They started the week above $10. This week’s sell-off has wiped out the gains made in the past year, erasing more than $1-billion in market value. A report published Monday by U.S.-based short-sellers Gabriel Grego and Nate Anderson alleged that Aphria paid millions to buy assets with valuations that are “vastly inflated or outright fabrications.” Those assets had been owned previously by firms with apparent ties to an adviser and prominent investor in Aphria named Andy DeFrancesco. Mr. DeFrancesco characterized the report as “false” in a text message to The Globe and Mail on Monday. Mr. Grego and Mr. Anderson bet against shares in Aphria and stand to benefit when the stock price falls. Since the report was issued, at least four analysts who cover Aphria for investment banks slashed their 12-month price target on the stock. GMP Securities LP put its coverage of Aphria under review. Aphria said its deal is in line with what other cannabis companies have been paying to acquire assets in the region. This summer, Canopy Growth Corp., for example, struck an all-share deal to acquire Spectrum Cannabis Colombia S.A.S. It paid $46-million to buy the company and said it could pay as much as $106-million more if certain milestones are reached. 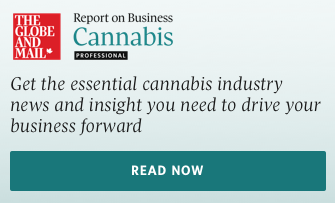 It also acquired a separate entity, Canindica Capital Ltd., controlled by its new Latin American managing director for $23-million, which it recorded as compensation. Much of the value of that asset was booked in goodwill. To get into Colombia and Uruguay, Aurora Cannabis Inc. bought ICC Labs Inc. for $290-million, a deal that closed in November. At the end of June, ICC recorded $40-million in assets, including $7-million cash. The short-sellers’ report about Aphria, however, takes issue with the series of transactions that ultimately led to the takeover by Aphria. In July, Aphria agreed to buy the assets in Jamaica, Colombia and Argentina for mostly stock from a small Toronto company then named Scythian Biosciences Corp. At the time, Scythian was still in the process of finalizing deals of its own to acquire the three entities, which it would later package into one company and flip to Aphria. Scythian paid less than a third of what Aphria ultimately ended up paying, booking a quick gain of $202-million. Aphria and some of its key staff owned shares in Scythian at the time, which they disclosed. Mr. Neufeld had also been the chair of Scythian before he resigned in late April following a controversy over Aphria’s acquisition of Brampton, Ont.-based Nuuvera Inc., when The Globe and Mail reported that seven Aphria insiders didn’t disclose that they personally owned shares in Nuuvera. Another issue raised by short-sellers Mr. Grego and Mr. Anderson related to Aphria’s Scythian deal is that, days before Scythian announced that it had signed letters of intent to acquire the assets in March and April, the names of the three corporate entities were changed to scrub any mention of “Delavaco.” Delavaco is the brand name for a Florida-based private-equity firm founded by Aphria shareholder Mr. DeFrancesco, who is also a key investor in Scythian and several of the other North American cannabis companies in which Aphria has taken equity positions.